The 2019 Executive Course on Urban Energy Systems at the ETH Zruich will provide an introduction to the analysis of urban energy systems with the City Energy Analyst (CEA). The CEA is one of the first open-source tools for the analysis of energy efficiency strategies in districts. In both theoretical and hands-on exercises, the participant will learn how to use advanced numerical methods in CEA to estimate and optimize the performance of a real district in Zurich. The participants will examine strategies ranging from building retrofits, renewable energy integration, district energy and modifications of urban form. The executive course is intended for practitioners, students, and researchers in energy, building engineering or related disciplines. Prior knowledge of urban energy systems is necessary, but not mandatory. This year, we will be meeting at the ETH Zurich for 3 days from the 9th of September to the 11th of September. We will also open an extra day 12th (optional) for carrying out a small project together. Please feel free to mention your availability upon registration. Day 1: Introduction to urban energy system analysis. Day 2: Demand forecasting and building retrofitting in CEA. Day 3: Thermal and electrical systems planning in CEA. The executive course will be given by the core developers of CEA. The course fee is CHF 3,000. It includes workshop materials, morning coffee and afternoon tea. The following discount scheme applies for academics, students and government officials, tiered by the number of registered participants. There is a limited number of scholarships available to cover the course fee for students. Please register to the course. Please specify the number of participants you are registering. Please describe the institution / company of the participants you are registering. We will generate an invoice and send a confirmation to your e-mail in the following few days. If you are applying for a scholarship, kindly send your documents to cea@arch.ethz.ch within 2 working days. 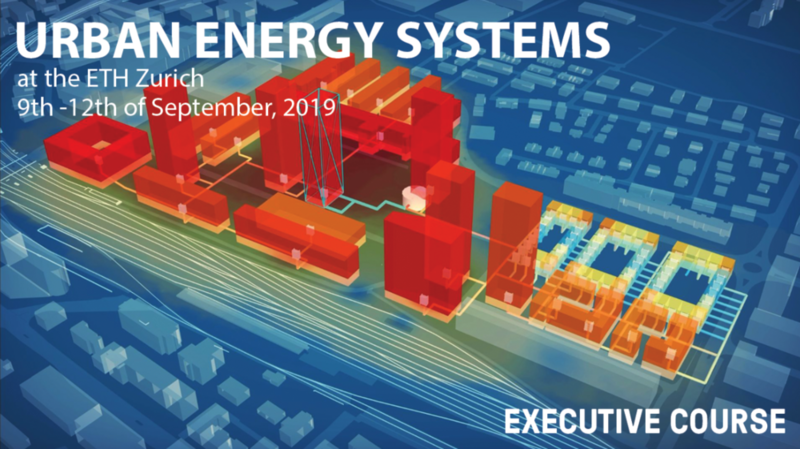 We are looking forward to having you in the 2019 Executive course on Urban Energy Systems at the ETH Zurich.